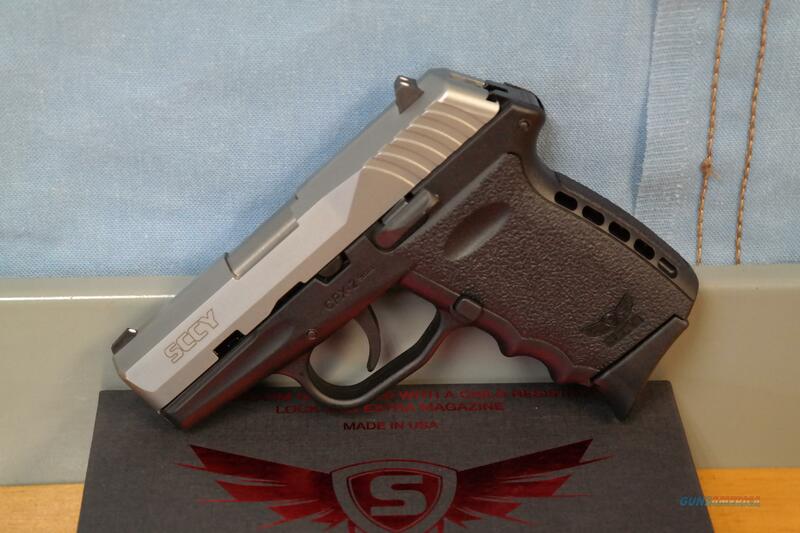 Description: This is a SCCY CPX-2 Two-tone 9mm pistol. This pistol has a stainless slide with a 3” barrel. This is a great little pistol for everyday carry with a smooth trigger pull and two 10 round magazines with a finger grip extension for added comfort. This pistol also comes with the flat magazine floor plates and a trigger lock fitted specifically to this handgun.